This Bajaj Hextrim 1200 mm cherry red ceiling fan has angular design Provides better performance with improved aerodynamics and better aesthetics. It has full alluminium body which increases durability and makes the body lighter. It's strong 14 pole motor with powerful high torque motor to provide consistent performance. 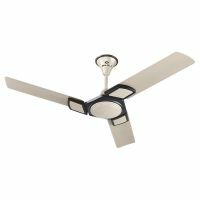 This ceiling fan comes with Silent operation Provides better comfort with low air cutting noise. To Recieve updates and possible rewards for Bajaj Hextrim 1200 mm (Cherry red) please sign in. To Recieve updates and possible rewards for Fan please sign in.